Following up on the Provincial Grand Lodge Fishing Competition held on 04 June 2011. 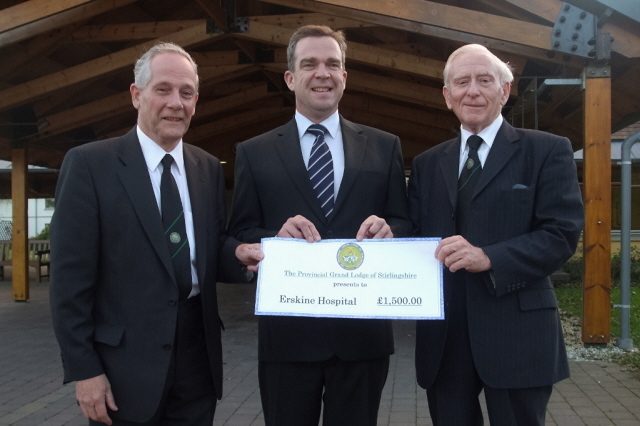 Brother Andrew A. McKinnon, Provincial Grand Master of the Province of Stirlingshire presented a cheque for £1,500.00 to Mr. Gary Gray, Depute Chief Executive of Erskine Hospital. The money was raised by the Fishing Committee members led by Bro. Alex. Crocket, Substitute Provincial Grand Master. 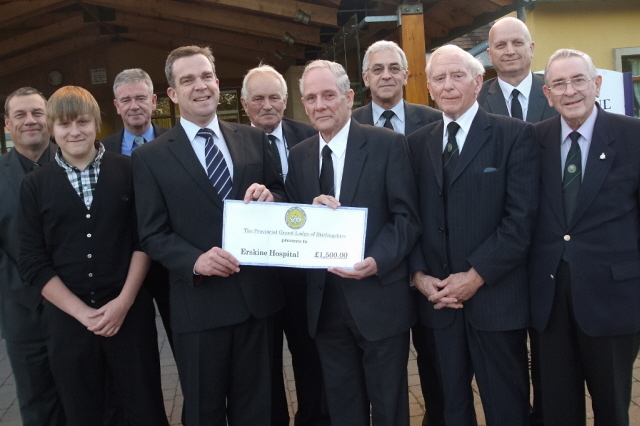 The photographs below show members of Provincial Grand Lodge and members of the Fishing Committee.